The Battle of Rocoux (11 October 1746) was a French victory over an allied Austrian, British, Hanoveran and Dutch army in Rocourt (or Rocoux), outside Liège during War of the Austrian Succession. The result was a major French victory but not the crushing blow Maurice had hoped to inflict. The French main attack went against the Dutch portion on the left of the allied line between Liege and Rocoux. Heavily outnumbering the Dutch, the French defeated them on the third assault. The Dutch were forced to withdraw behind the British and Hannoverian lines. In the face of a general French advance the allied line began to give way. The Austrians on the allied right were not engaged and made no attempt to take the initiative and advance against the French left flank. Ligonier's cavalry and some British, Hanoverian and Dutch infantry formed a rear guard that held off the French as the army withdrew. The French were victorious, although the allied army escaped from destruction. The French captured Liège. This was the second great victory of three for Saxe, after Fontenoy and prior to Lauffeld. The French were victorious, immediately capturing Liège and breaking Austrian control over the Austrian Netherlands for the remainder of the war. 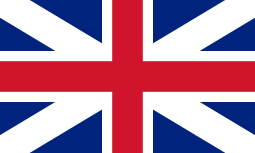 ↑ Skrine, Francis Henry.Fontenoy and Great Britain's Share in the War of the Austrian Succession 1741-48. London, Edinburgh, 1906, p.311: "24,000 British, Hanoverians and Hessians...49,000 Austrians. The left wing, of 24,00 Dutch troops..."
↑ Skrine, Francis Henry.Fontenoy and Great Britain's Share in the War of the Austrian Succession 1741-48. London, Edinburgh, 1906, p.313.